It's been a busy weekend in Burlington for random acts of signing! 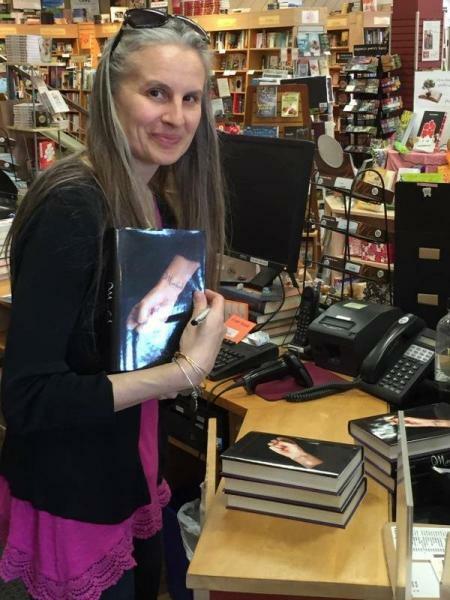 Huge thanks to Vermont author Laura Williams McCaffrey for stopping in to sign her new young adult novel Marked and to Laurie McCammon for coming all the way from Maine to sign copies of Enough! Would you like a signed copy? If ordering online, please indicate in the "comments" field that you'd like an autographed copy. Quantities are limited, and vary by store. Vermont PBS welcomes spring – and April’s National Poetry Month – with a celebration of Vermont poetry in its new series, Poets and Their Craft. The ten-part series, launching both on-air and online, puts a spotlight on some of the state’s leading poets as they give intimate readings and reflect on the creative process. The programs were recorded during the 2015 Poets & Their Craft readings and discussions held in independent bookstores across the state - including Phoenix Books Burlington! The readings were organized by poets Mary Jane Dickerson and Tamra Higgins. Each half-hour episode in the series combines highlights from those community readings with interview segments in which the poets discuss their craft and sources of inspiration. Online content will include extended interview segments with each poet. “Poets and Their Craft” premieres Thursday, March 24, on all platforms. On air, back-to-back episodes will air Thursdays at 7 and 7:30 p.m. for five consecutive weeks. Online viewing, available to Vermonters anytime, anywhere, is accessible at vermontpbs.org/poets, with the first four episodes launching March 24. The series will also air on Vermont PBS PLUS, Mondays at 9 and 9:30 p.m., beginning March 28. David Huddle reads at The Vermont Book Shop, Middlebury. Pamela Harrison reads at Bridgeside Books, Waterbury. Diana Whitney reads at Bartleby's Books, Wilmington. 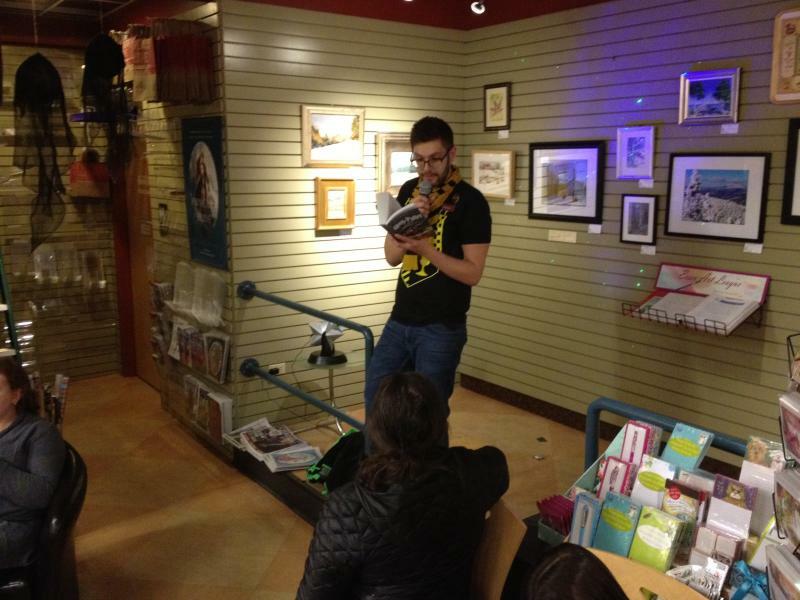 Jay Parini reads at Northshire Bookstore, Manchester Center. Sydney Lea reads at Norwich Bookstore, Norwich. David Budbill reads at Galaxy Bookshop, Hardwick. Neil Shepard reads at Ebenezer Books, Johnson. Major Jackson reads at Bear Pond Books, Montpelier. Baron Wormser reads at Misty Valley Books, Chester. Mary Jane Dickerson and Tamra Higgins read at Phoenix Books, Burlington. Vermont College of Fine Arts, the Middlebury Bread Loaf Writers’ Conferences and the Middlebury Bread Loaf School of English. Vermont PBS is Vermont’s statewide public media provider and visual storyteller, with a commitment to cultural enrichment and civic engagement. More information is available at vermontpbs.org. 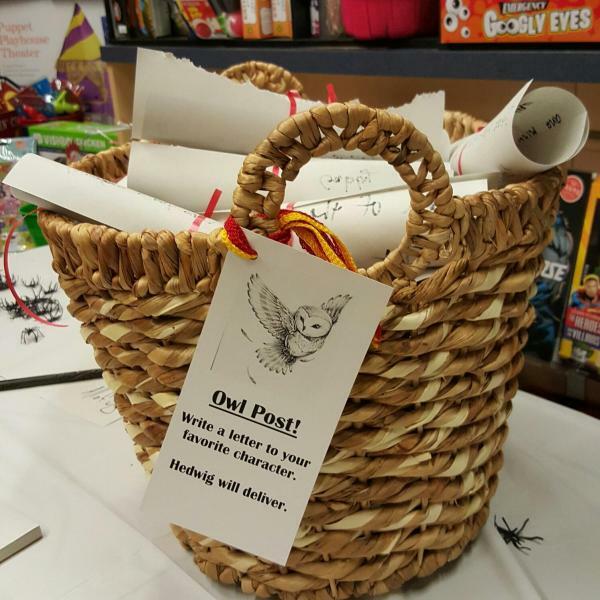 A Night of Spells: Harry Potter Book Night was a huge success! 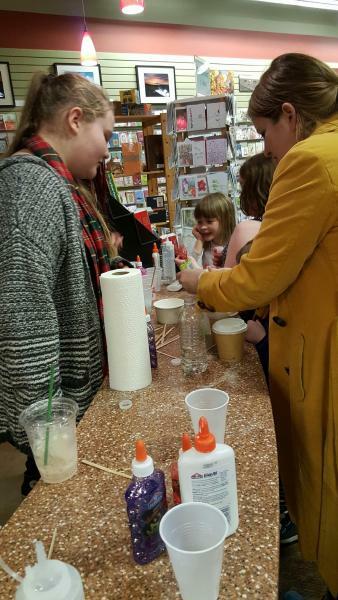 Upwards of 150 witches, wizards, and muggles joined us at Phoenix Books Essex to celebrate J.K. Rowling’s unforgettable stories with themed cafe drinks, potions class, broomstick crafts, and general merriment. 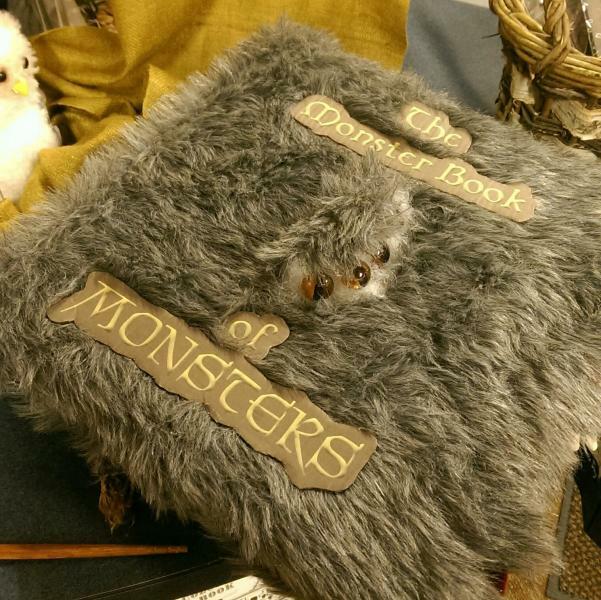 The Monster Book of Monsters (left) and Owl Post: Write a letter to your favorite character (right). Cafe specials (left) and magic wands (right). We had quite a crowd! 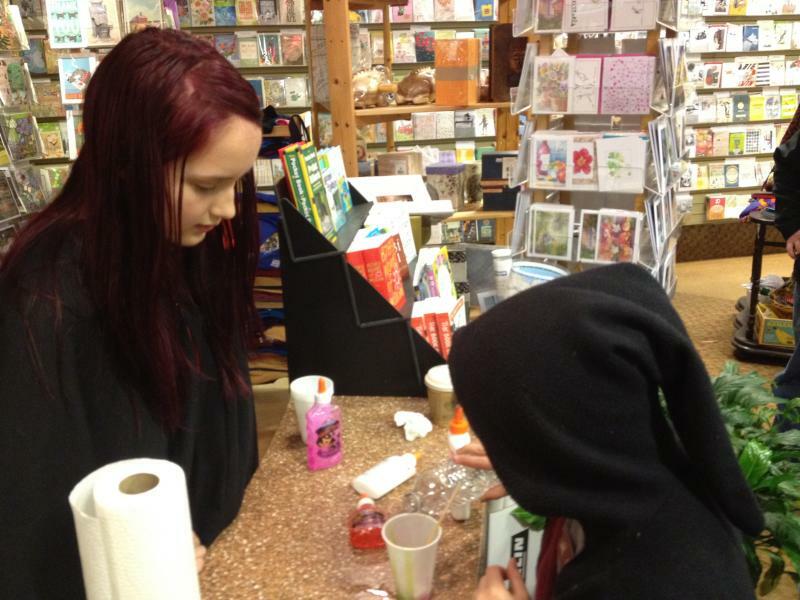 (left) A dramatic reading by one of our booksellers (right). 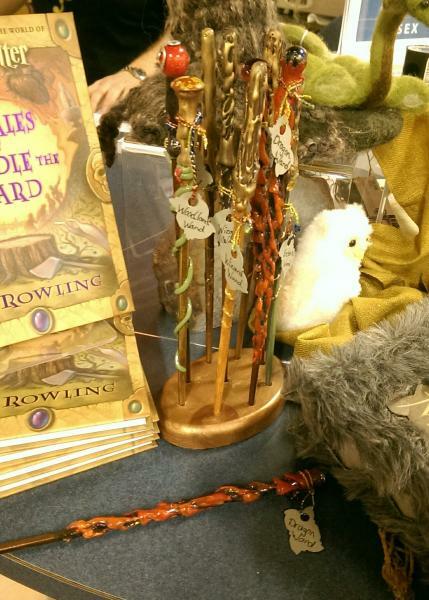 Broomstick crafts and mini monster books! 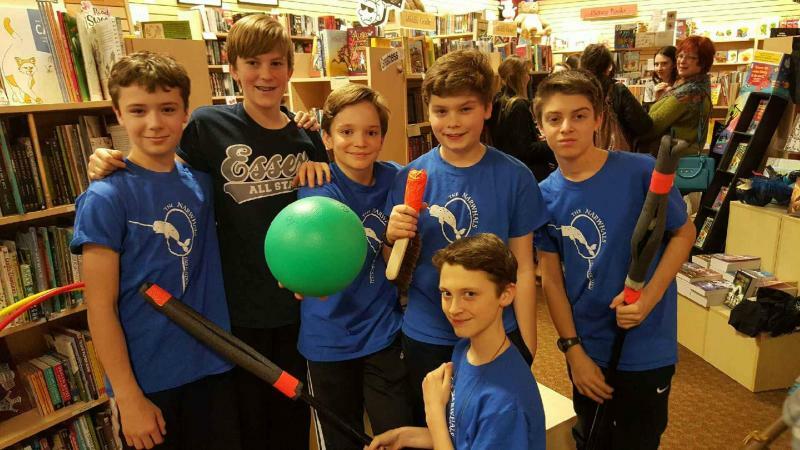 Big thanks to the Essex Middle School quidditch team for making our Harry Potter Book Night even more magical! 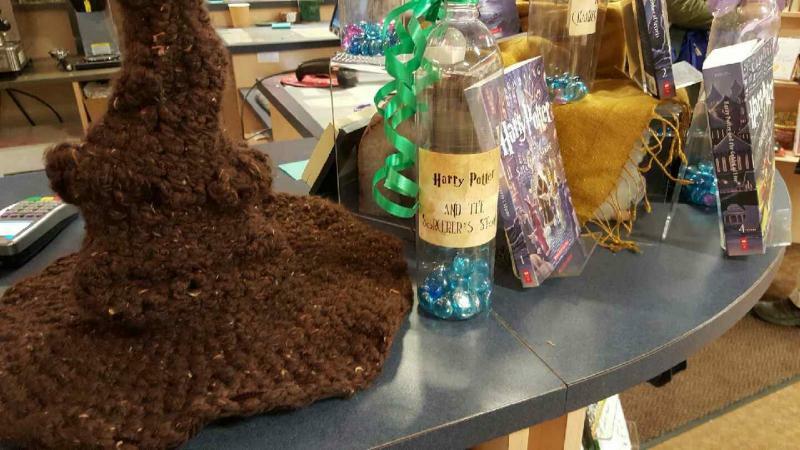 The sorting hat sitting beside our display, where attendees voted for their favorite books. If you missed our January event with Chris Bohjalian, watch it here! Chris Bohjalian is the author of eighteen books, including Close Your Eyes, Hold Hands, The Sandcastle Girls, Skeletons at the Feast, The Double Bind, and Midwives. His novel Midwives was a number one New York Times bestseller and a selection of Oprah’s Book Club. His work has been translated into more than thirty languages, and three of his novels have become movies (Secrets of Eden, Midwives, and Past the Bleachers). He lives in Vermont with his wife and daughter. Visit him at www.chrisbohjalian.com or on Facebook. Phoenix Books has been shortlisted for the 2016 Publishers Weekly Bookstore of the Year Award, which highlights singular achievements in the bookselling industry. “This year’s nominees for the 2016 PW Awards reflect the growth and vitality of independent bookstores,” said PW senior v-p and publisher Cevin Bryerman. 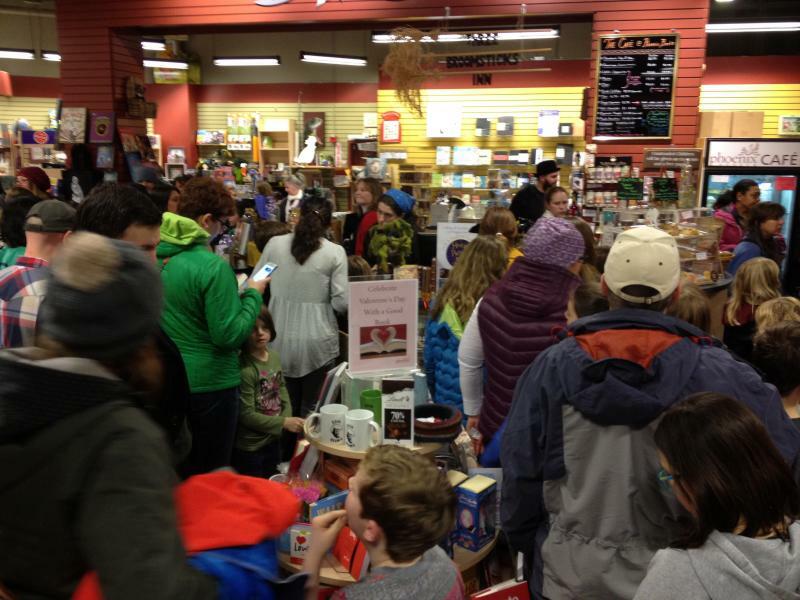 “They are coming off a strong holiday season, and several just opened, or are about to open, second or third locations.” Phoenix Books opened its third location, in Rutland, Vermont, in September 2015. The company also has locations in Essex and Burlington. "I am gratified and humbled for Phoenix Books to be named a finalist for PW Bookstore of the Year," says Phoenix Books' co-owner Mike DeSanto. "This nomination is truly a team recognition for the host communities of Rutland, Essex and Burlington, for our 30 plus booksellers and the special customers who patronize our three stores. Although my partner Renee Reiner and I are the owners, this nomination reflects the truth that all three of our locations serve communities that are loyal to indie bookstores and locally owned businesses, that all of our booksellers are exceedingly loyal to Phoenix Books and put forth herculean efforts on behalf of the stores each and every day and that our loyal customers are the best darn customers in the universe! 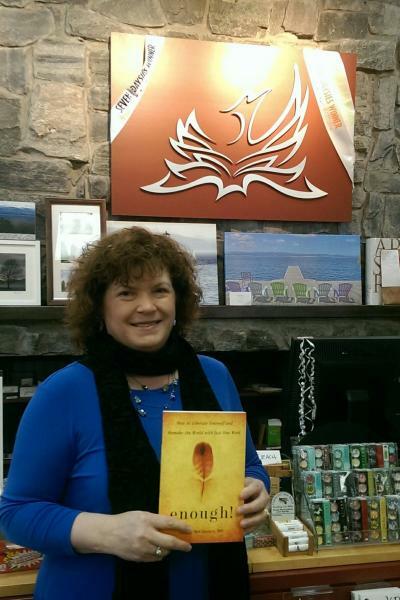 Without these three loyalties, Phoenix Books would not have been nominated, nor would we have been recognized so recently by the Book Publishers Representatives of New England with the BPRNE 2015 Independent Spirit Award. Phoenix Books had our best year ever in 2015, and apparently our industry thinks we are doing a pretty darn good job too. I extend my most sincere thanks to our customers, our loyal booksellers, and our communities for supporting Phoenix Books in all our efforts." "This recognition of our efforts affirms our belief that independent bookstores are valuable and indeed vital to our communities," adds Renee Reiner. Phoenix's fellow finalists include San Francisco's Books Inc., Houston's Brazos Bookstore, Brooklyn's Greenlight Bookstore, and Bellingham, Washington's Village Books. The 2016 PW Award winners will be named in late March and will be featured in the April 18 edition of Publishers Weekly. The awards will be presented at an authors breakfast at Book Expo America, North America’s largest gathering of book industry professionals from around the globe. "We're so pleased to hear the news and to be part of such a vibrant organization!" says Tricia Huebner, manager of Phoenix Books Rutland. "We've all known how special Phoenix is, but it is so great to see everyone's hard work recognized." 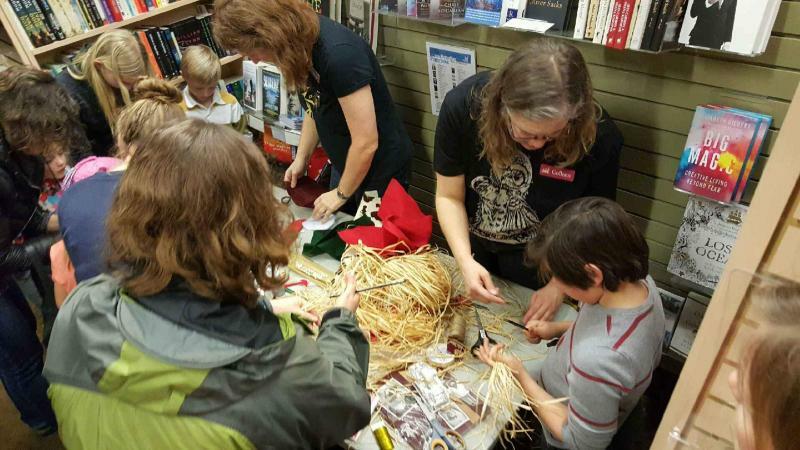 The Grinch was a popular character at Phoenix Books this last December, with about 400 attendees at our Rutland event and almost 200 at our Essex event! Attendees got to meet the Grinch, take photos with Seuss's meanest and greenest creation, and do crafts. The events also launched our annual holiday food drive, which continued through the end of December at all three locations. The Grinch was even more of a hit than Santa - at least with one young attendee, as you can see here, on the Facebook event page. 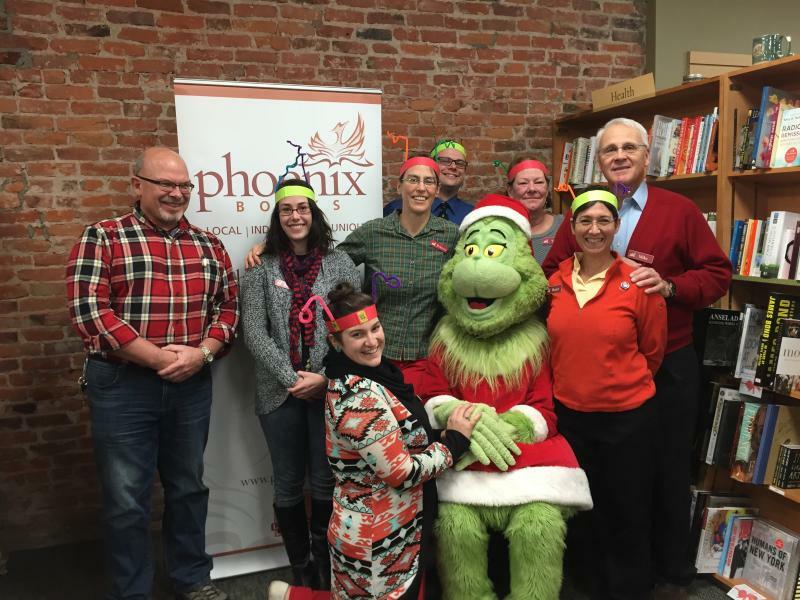 The Grinch with booksellers at Phoenix Books Rutland. Watch our October event with Jeffrey Beerworth here! If you missed our October event with Archer Mayor, watch it here!